Remember in the old Steve Martin movie "The Jerk" when Navin Johnson gets all excited about seeing his name in the White Pages? "The new phone book's here! The new phone book's here!...I'm somebody now! Millions of people look at this book every day! This is the kind of spontaneous publicity...that makes people!" Well, it's no great exaggeration to say that's pretty much how I felt earlier today when I received my copies of Life Begins at 8:40, the recent release from PS Classics for which I -- you're not-so-humble blogger -- wrote the frickin' liner notes. (See my previous embarrassingly gushy post.) The CD is available for pre-order now on Amazon and CD Universe, but since the good folks at PS Classics saw fit to send me a few extra copies, I thought I'd give one away as part of a little contest for my readers. Following up on yesterday's list, here are my remaining choices for the best musicals of the 2000s. Feel free to carp, snipe, and otherwise disagree. But, in my humble estimation, these ten musicals represent the best that Broadway and Off-Broadway had to offer over the past ten years. 10. Xanadu: I loves me some Xanadu. I saw the show three times on Broadway, and each time was a delight. (Read my review, my re-review, and my re-re-review.) Some found the show's appeal limited, or even nonexistent. One joke in the show refers to itself as children's theater for 40-year-old gay men. Many people seemed to agree, and failed to find the any charm in the show. Frankly, I pity those people. Xanadu wore its satiric heart on its sleeve, to be sure, and absolutely nothing in the show was meant to be taken seriously. It wasn't just another jukebox musical; it was a satire of jukebox musicals. Librettist Douglas Carter Beane took one of the worst movies of all time and turned it into a night of hilarity and frivolity. That's no small feat, and I for one can't wait to catch the show again as the national tour wends its way to Providence, R.I.
9. A Man of No Importance: No list of the best musicals of the past decade would be complete without the presence of Stephen Flaherty and Lynn Ahrens. In my humble opinion, Flaherty and Ahrens are the most talented writing pair we currently have in musical theater. At their best, we get Ragtime and Once on This Island. But even when they misfire, we still get My Favorite Year or The Glorious Ones. A Man of No Importance may turn out to be their best show. There's a seriousness of intent and a quiet dignity than in many respects surpasses those of their other shows. And the show certainly doesn't skimp on entertainment or comedy. But, most important, it reflects the desire that Flaherty once told me that he and Ahrens have for all their shows: to give voice to the underrepresented and to bring about social change. And with the able assistance of their Ragtime librettist, Terrence McNally, Flaherty and Ahrens achieve those goals with A Man of No Importance, and without making the show strident or preachy. That's certainly no mean feat. 8. Grey Gardens: The 2006-2007 Broadway season gave rise to two very different musicals, with nonetheless similar development arcs. Both Spring Awakening and Grey Gardens began their professional lives Off-Broadway at non-profit theaters: Atlantic Theatre Company and Playwrights Horizons, respectively. But, other than the fact that they are both musicals, the similarity really ends there. And, as is so often the case when there are two strong shows in a given season, theater aficionados tend to form camps, championing their favorite, to the dismissive exclusion of the other. I know that many of my readers are in the Spring Awakening camp. I am not. Both shows are worthy in their own ways, and each has its flaws, but for me Grey Gardens was significantly more powerful and better crafted. Many took issue with the first act of Grey Gardens, but I saw it as an intentional homage to the typical musicals of the time period. And the second act is simply devastating. Some people implied that Grey Gardens was for the fogies while Spring Awakening appealed to more youthful theatergoers. If that's true, I'll gladly accede to fogy-dom. 6. Bat Boy: Fans of musical theater have a lot to thank Alan Menken and the late Howard Ashman for. These men single-handedly (well, double-handedly) created an entirely new sub-genre of musical theater with their wonderful Little Shop of Horrors. That genre: The Campy Off-Broadway Bloodbath. Granted, it took almost two decades for the genre to take off, but once it did we got a profusion of small shows with camp factors of 11 and body counts higher than that of Hamlet. Some of these shows were quite good (cf. Urinetown, Reefer Madness). Others, well, not so much. (cf. The Toxic Avenger, Evil Dead). Among the best was Bat Boy, which is easily one of the funniest shows I've ever seen, at least in its original Off Broadway production. The show closed prematurely in the aftermath of 9/11, but it has since gone on to become a staple in regional theater. It couldn't happen to a nicer half-boy/half-rodent. 4. The Light in the Piazza: I have a confession: I didn't really like The Light in the Piazza the first time I saw it. I guess I wasn't smelling what composer/lyricist Adam Guettel and librettist Craig Lucas were cooking, at least not at first. The show is often quiet and slow, and the music can be difficult to take in on a first hearing. Thankfully, The Light in the Piazza received a TV broadcast shortly before it closed, and I've since had the chance to watch the video again and again, each time finding more to appreciate and more to fall in love with. Likewise, repeated hearings of the score revealed an emotional richness and subtlety that few musicals strive for, let alone achieve. I greatly look forward to seeing what Guettel comes up with next, now that The Princess Bride appears to be a goner. Let's hope it's not another ten-year gap, as we had between Floyd Collins and Piazza. 3. Avenue Q: So much more than just a smart and funny new musical, Avenue Q represented something of an economic watershed. The show came seemingly out of nowhere, snatched the Tony for best musical from the hands of Wicked, and proved that small shows could make a profit on Broadway. Conventional wisdom held that, in order to make money, musicals needed to be huge, with elaborate sets and lots of theatrical pyrotechnics. Wrong. If it weren't for Avenue Q, we might not have seen many of the musicals on this list make it to Broadway, including Spelling Bee, Xanadu, and The Drowsy Chaperone. And now that Avenue Q has made the almost unprecedented move from Broadway to Off Broadway, the show appears to have opened yet another...well, avenue...for smaller shows to follow. Beyond that, it's also a very good show, full of wit, wisdom, and an entrancingly tuneful score by Robert Lopez and Jeff Marx. Even if it hadn't rewritten the rules, Avenue Q would still have made this list for the sheer quality of the writing. 2. Adding Machine: I had a really hard time deciding which show to place first on this list, but ultimately I had to make a decision. A tie would have been too annoying, and a bit lazy. But I could just as easily have justified putting Adding Machine first. I was simply blown away by this show. It wasn't just Joshua Schmidt's dynamic and eclectic score, or his and Jason Loewith's faithful adaptation of Elmer Rice's original play. It was also David Cromer's brave, uncompromising direction. The show starts off as a tale of the faceless everyman, but it quickly veers into far more subversive and satisfying territory. I greatly look forward to seeing the show again when Boston's Speakeasy Stage produces it this spring. If you're in the Boston area, I urge you to check it out. If not, I highly recommend the cast recording. This is a show to be experienced and savored. Truly one for the ages. 1. Urinetown: An unlikely masterpiece. Rarely have I experienced a musical that was so cohesive, so united in its intent, so solid in its execution as Urinetown. Mark Hollmann's score is a direct homage to Kurt Weill, and the show itself is partly a re-imagining of Marc Blitzstein's seminal The Cradle Will Rock. But Urinetown is so much more than that. It's also a shrewd satire of theater itself, and musical theater in particular, and that's really the level upon which the show truly shines. The book by Greg Kotis basically asks "What is the worst possible idea for a musical?" And the answer that it provides is nothing less than brilliant, and frequently hilarious to boot. In the original production, director John Rando kept all the actors on the same satiric page, and choreographer John Carrafa made comic reference to everyone from Bob Fosse to Gower Champion. The show has really caught on in the provinces, a fact that I find both gratifying and a bit surprising. Thankfully there appears to be room in the hearts and minds of the theater-going public for more than just Andrew Lloyd Webber and Mamma Mia. Honorable mention: [title of show]: I couldn't finish up this list without making mention of [title of show]. I genuinely considered placing it somewhere on this list, but I decided that I needed to separate my affection for the show from an objective view of its inherent quality. I had a marvelous time both times I saw [title of show] on Broadway. I inadvertently bought a ticket to the show's first Broadway preview, an experience that was alternately thrilling and annoying: thrilling because of the sheer energy that permeated the proceedings, but annoying because of the exaggerated ovations and disproportionate response that each number, and seemingly every line, received from the [tos]-ser faithful. When I went back the next day, the show received a more moderated and realistic response, and while I once again genuinely enjoyed myself, I had to question whether the show would appeal to the general public. And, as it turns out, [title of show] wasn't able to cross over and attract a mainstream audience. I remain an ardent fan of Hunter Bell's sweet and witty book. But I also remain unimpressed by Jeff Bowen's music and lyrics. The music is fine for what it is, if somewhat derivative, but the lyrics are full of bad scansion ("car-RIE", "mar-RY"), filler lines ("And if they like us, will they mic us, me and you? "), and bland repetition ("Filling out the form, filling out the form...", "Festival medley, festival medley..."). I have great affection for [title of show], mostly because of its unapologetic and unbridled love of musical theater. But, as for being a genuinely well-crafted show, I'm afraid that it comes up just a little short. I apologize, dear reader, for my extended absence from blogging. I've recently added staged readings to my musical-theater history course at the Boston Conservatory, and for the past week or so I've been busy putting on Little Johnny Jones, the first of what I hope to be a regular series of historically significant but underperformed musicals. The show went extremely well (thank you for asking), and now I can return my attention to you, dear reader. There's certainly plenty of developments to address on the musical front, what with shows posting closing notices left and right, and quite a few others rumored to be closing soon as well. And I'm also planning a series of posts with my choices for the best and worst musicals of the first decade of the 2000s. Look for more on show closings and end-of-the-decade lists in the days to come. But first, I wanted to talk about a recent press release that I got from the Irish Repertory Theatre. I've been getting a lot of press invites and news releases lately, so much so that I almost deleted this particular email without reading it. But then I caught the name of the show in question in the subject line: Ernest in Love. And my heart swooned a little. But sentimental attachments aside, Ernest in Love is also a damn fine little show, at least in my possibly revisionist recollections, with a rousing and tuneful score by Anne Croswell (music) and Lee Pockriss (lyrics). The show had a very short run Off Broadway in 1960, but received a cast recording that, until it was recently released on CD, was one of the most valuable and collectible cast recordings on LP. The recording is unfortunately hampered by some rather weak male singing voices, but the females are an unqualified delight. It's one of those scores that I return to again and again, and never fails to put a smile on my face. The folks at the Irish Rep have certainly brought in some talented Broadway ringers for the cast, including Noah Racey as Jack Worthing and Beth Fowler as Lady Bracknell. But will the production do justice to my (impossibly?) fond memories of the show? Or am I simply glorifying Ernest in Love in hindsight? Watch for my review in early January. As you may know, the new musical Vanities was slated to open at Broadway's Lyceum Theater this past season, but the run was canceled when the economy soured. Well, the economy did these folks a favor. If Vanities had actually made it to Broadway, chances are it would have been a short-lived embarrassment, like Glory Days, or disappointment, like The Story of My Life. Instead, the show gets a one-month run at a non-profit theater, New York's Second Stage, the possibility of a cast album, and a shot at a life in regional productions. Because, despite a professional presentation and a perky, talented cast of three (Lauren Kennedy, Sarah Stiles, and Anneliese Van Der Pol), Vanities is a musical that makes little lasting impression. One of the show's key liabilities is its inoffensive but forgettable score by David Kirshenbaum (Summer of '42). It's hard to pin down exactly what's wrong with the score, because it's pleasant enough in performance. But the songs don't stick, either in terms of memorability or in serving a dramatic purpose. Part of the problem could be that the score only intermittently reflects the time period in which the scenes are set. It doesn't grow in its cultural influences as you might expect from a musical that spans the 1960s through the 1980s. There are some Burt Bacharach touches in some of the orchestrations during the '60s portion of the show, but after that the generic score becomes timeless, but not in a good way. It doesn't help that Kirshenbaum throws in such anachronisms as "living large" and "chatty Cathy" well before these terms came about. Even worse, the songs don't tell the story, they stop it. Every number feels like a digression from the plot rather than something that enhances it. I'm not saying that Vanities shouldn't have been a musical, but the current score doesn't add much to the drama or to our understanding of these characters. The score might have seemed less egregious had the surrounding text had greater depth. The main problem with Jack Heifner's book, which is based on his 1976 play of the same name, is that there really isn't any drama until about an hour into the show. Before that, we just see these three high school friends graduate, attend college, and head off into the world to inevitably and predictably grow apart. But when the drama finally comes, it's really too late for us to start caring. In the show's pivotal scene at a New York penthouse apartment, the girls finally have a knock-down drag-out fight, and things start to get interesting. But in the following scene, all is forgiven and we're forced to accept an artificially easy reconciliation. Then it's off to the final number, chockablock with platitudes, and the characters walk off into the sunset together. That's right: they literally walk off into the sunset. Oy. The problems with the score and the book are probably so systemic that no director could have fixed them. Even so, Judith Ivey probably wasn't the right choice of director. There's a big difference between directing a previously existing show and steering a developing work towards a final product. There are some really terrific developmental directors (Hal Prince, James Lapine) and there are directors who work better on finished material (Walter Bobbie). I'm going to give Ivey the benefit of the doubt and assume that if she's ever going to be a great director, she might be better off in the latter category. Vanities runs at the Second Stage until August 9th. I have a feeling that, should this production produce a cast album, the show will get a decent amount of play in regional theaters. If there's no CD, this is probably the last we'll see of Vanities. Let me get this out of the way up front: as a musical, Chess doesn't work. It didn't work in London, it didn't work on Broadway, and it hasn't worked in any of the innumerable versions that have cropped up since. And it certainly doesn't work in the recently released concert version, a mostly tasteless affair partly redeemed by the music of Björn Ulvaeus and Benny Andersson, and the presence of Josh Groban. I pay virtually no attention to popular music, so although I was aware of Josh Groban, I had never heard any of his work. I may need to seek out some of his other stuff, because I really liked what I heard. Groban has a rich, sonorous voice and terrific stage presence. And he shows admirable restraint amid the crass production (one word: choral-ography) and histrionic cast mates surrounding him. Leading the charge toward excess is Idina Menzel as Florence. Oh, she can scream with the best of 'em, but her style has no subtlety, and her acting skills are rudimentary at best. Close on Menzel's overwrought heels is Adam Pascal, who exhibits here the same cloying vocal catches, scoops, slurs, and growls evident in the cast recording of Rent, as well as the same cardboard acting style. Although I do have to say that there seemed to be some genuine pathos in evidence during "Pity the Child." The appeal of Chess has always been the gorgeous, chill-inducing music by Björn Ulvaeus and Benny Andersson, combined with Tim Rice's often-inspired but sometimes-clunky lyrics. The stripped-down book of the concert version renders the relevance of many of the songs opaque, if not incomprehensible. But even if Chess the show doesn't work, the songs do, particularly the soaring "Anthem" and the thrilling duet "You and I," both of which feature Groban to positively stirring effect. 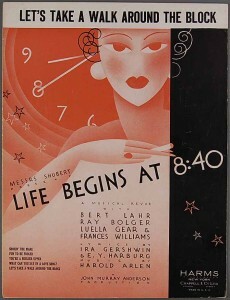 The concert version of Chess reverts back to the structure and song list of the concept album and the London version of the show, restoring a number of admittedly fun songs that don't belong in the show, including "Embassy Lament," and "The Merchandisers," the levity of which throws off the show's tone. And "One Night in Bangkok" remains, as always, an irrelevant cheese-fest. But the concert also includes "Someone Else's Story," which was written for the Broadway version, to be sung by Florence. However, in the concert version the song goes to Svetlana, Anatoly's wife. This makes no sense at all. Here is a song about someone deciding whether to stay or leave, but this character is not in that position; Anatoly has already left her. This change was probably made to accommodate one Kerry Ellis, who is currently playing Elphaba in the London Wicked. Which makes sense, because Ellis here has all the vocal restraint and acting talent of Idina Menzel. Which is to say, not much. Chess has always been a show that's very close to my heart, ever since I bought the concept album in college. But I've long since given up hope that it will ever work as a show. It's probably time that the show's creators do the same. Recently, I was reading a Washington Post article by theater critic Peter Marks about the state of the Broadway cast-album business. As regular readers may know, I have far more cast recordings than is probably wise, so I have a vested interest in this topic. Marks does a great job of setting the historical context and laying out the economic difficulties that labels face when they record and issue cast albums. It used to be that Broadway music and popular music were the same, but it's been a long time -- decades, in fact -- since that was true. 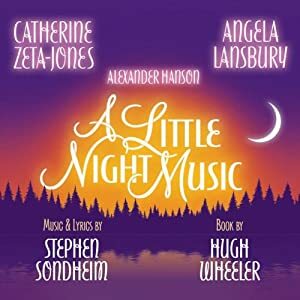 Lately, most of the major releases we've seen have come from the likes of Kurt Deutsch at Ghostlight Records (whose recent releases include Next to Normal, In the Heights, and Hair) and Tommy Krasker at PS Classics (Xanadu, The Story of My Life, and the upcoming release of Sondheim's Road Show). Every once in a while, we get West Side Story from Sony Masterworks Broadway, or Shrek from Decca Broadway, but for the most part Broadway cast recordings of late have come from the small boutique shops above. Which brings me to my main point: file sharing is bad. It's bad for these small, struggling companies, and it's ultimately bad for the people who love musical theater. Because, here's the bottom line: if we're not willing to buy cast albums, then we're not going to be able to buy cast albums. I hear the excuses all the time: CDs are too expensive, and how can I possibly get all the music I want if I can't pay for it. Well, you know what? Maybe that means you don't get to listen to all the music you want. We all have to live within a budget, and make purchasing choices. I'll admit, this diatribe is purely selfish on my part. I want to continue to be able to buy cast albums and if everyone keeps sharing files, then the few remaining companies that actually do produce cast albums will either stop doing so or simply go out of business. I know that file sharing is something that's hard to stop, and that it's very tempting to join certain password-protected blogs, or online trading communities, which allow you to download music free of charge. I've been on these sites myself, and I've downloaded stuff, but only things that weren't commercially available, like demos and stuff that's been long out of print. Human nature is what it is, and to a certain extent the music companies are fighting a losing battle: because it's so easy to download and share music, it's going to continue, and ultimately there's not a lot that the recording business can do about it. But I don't really care about pop stars and rappers. For all I care, you can share their music to your heart's content. But when it comes to musical theater, I would respectfully ask my readers (and my students) to do the right and honest thing and abstain from file sharing. In the long run, you'll thank yourself. Last night, I caught a performance of the 30th anniversary tour of Ain't Misbehavin'. I've always been a big fan of the show, and fortunately have a video of the TV broadcast of the original Ain't Misbehavin' cast performing it. Although the current cast members don't fully live up to their original counterparts (how could they? ), they nonetheless do a bang-up job of evincing the joy and vitality of the piece. The Boston stop of the national tour of Ain't Misbehavin' is part of a joint effort by the City of Boston and the Citi Performing Arts Center to renovate and revitalize the Strand Theater, an underutilized gem located in Dorchester, a neighborhood with a significant African American population. The show is part of a larger program of African American-related events called SpectrumBoston.org, which also features the upcoming Boston premiere of The Color Purple. (The Color Purple, however, will not play the Strand, but rather the cavernous Wang Theater.) It was great to see so many African Americans in attendance at Ain't Misbehavin', and having a grand old time, at that. I would love to see more such efforts in Boston to bring professional theater outside of the narrow confines of the theater district and the South End. Of course, many of the attendees had come to see "American Idol" winner Ruben Studdard, in the Ken Page role. Studdard is certainly no Ken Page, but he's strong vocally and has a playful presence. Most of the comedy in the role, however, was lost to Studdard's poor diction and obvious lack of stage experience. Studdard wasn't alone in this regard. The one major issue I had with this production was that, while the lyrics were, for the most part, intelligible, most of creator Richard Maltby's priceless asides were lost to indistinct delivery. The tour also features two additional Idol alumni, the talented Trenyce Cobbins in the Charlaine Woodard role, and Frenchie Davis in the role originated by the late great Nell Carter. Davis was out for the performance I saw, but we instead got to see the terrific Teresa Stanley. The cast also features the dynamic Arthur W. Marks and the adorable Patrice Covington in the Andre de Shields and Armelia McQueen roles, respectively. Overall, I was struck by the strength of the piece itself, which was created and directed by Richard Maltby at the top of his form. Surely, this is one of the most entertaining and effective revues in musical theater history, eschewing obligatory exposition in favor of a straightforward celebration of the music and artistry of Fats Waller. Matlby is greatly aided by the superb work of orchestrator Luther Henderson and choreographer Arthur Faria whose collective efforts coalesce into a seamless evening of joy and good humor. Henderson's arrangement of "Black and Blue" is nothing less than stirring, and sent shivers through my body. In a show full of movement, the creators have chosen on this number the have the performers sit still and let Waller's heartbreaking song and Henderson's stunning vocal arrangement do the work. For the most part, the performances in the current production are sharp, and the staging crisp. And, despite the presence of three "American Idol"-ers, the vocal histrionics were kept to a refreshing minimum. I was initially afraid that this production would be a slapdash effort to capitalize on waning celebrity, but was heartened by the genuine craft and care in evidence. Thankfully, the creators haven't changed the show to suit the talents of the stars, preferring instead to let the piece speak for itself. The show remains a lasting testament to the genius of Waller, as well as that of the creators. In other news, the tour produced a recently released cast recording, which is currently available only at Amazon.com. The admittedly talented cast comes off considerably less well on the recording, or perhaps that simply my ingrained bias for the original Broadway cast recording talking. Amid the thousands of Broadway CDs that I own, Ain't Misbehavin' is undoubtedly in the top ten for me in terms of recordings that I actually listen to. Maybe even the top five. I find I go back to the CD whenever I need a jolt of joy, and it never fails me. If the national tour comes to your town, I highly recommend that you see it, but as for a permanent record of Waller's music and career, it's all about the OBC.